DigitalOcean is the developer cloud for building modern apps, a leading technology company based in New York. In addition to being one of the world’s largest web hosting platforms, DigitalOcean is also a leading example of how world-class companies can create and maintain a people-first work environment for its talented employees. DigitalOcean has a culture of openness and wellbeing, which their senior leadership and People team believe have helped DigitalOcean be successful in recruiting top talent and performing at a high standard in today’s competitive tech landscape. In line with DigitalOcean’s core values and strategy for recruiting and retaining talent, the People team implemented a robust wellbeing program with a large emphasis on mental/behavioral wellbeing. By making Digital Ocean an early leader in addressing the many challenges faced by the majority of American employees searching for mental health care Digital Ocean has managed to live their values and continue to win in a competitive tech industry. 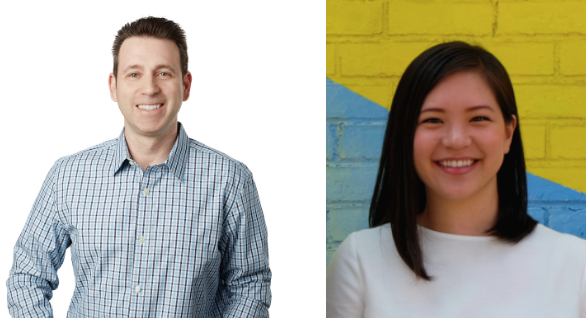 Interested to learn more about DigitalOcean’s employee mental health strategy, I spoke with Matt Hoffman, VP of People, as well as Yoojin Levelle, a Program Manager on the People Operations team. Does the People team at DigitalOcean have a specific employee mental health strategy? Mental health is actually very closely tied to some of DigitalOcean’s core values: community, simplicity, and service. We believe strongly in investing in our people, and creating a work environment that promotes physical and psychological safety. To support this, we created a wellness program for employees, which includes five areas of focus: (1) physical, (2) mental and emotional, (3) community, (4) social/connectedness, and (5) financial wellness. As a People team, we recognized that providing resources to employees for each of these five components would help them be more productive and engaged at work, as well as healthier and happier overall. More specifically, we provide resources and workshops for mindfulness, we offer yoga once a week, reimburse gym memberships, and partner with Spring Health for comprehensive mental health benefits. Why did the DigitalOcean team decide to partner with Spring Health to offer employees mental health benefits? It didn’t necessarily come out of a need for a mental health solution, but we recognized that working in a tech startup is stressful. Mental wellbeing is a something that we care about deeply at DigitalOcean — we want our employees bringing their whole selves to work, which in part means being open and honest about our strengths and weaknesses. Spring Health helped us speak to our cultural beliefs about inclusivity by recognizing this is an area that affects everybody. Spring Health has been really important for helping our employees get the care they need, but also make them feel more comfortable talking about common mental health issues. Offering Spring Health is a case of demonstrating through action what we believe in as a company; it speaks to our broader strategy of investing in our employees and helping them perform better. Employee wellbeing and performance is so important to us because of how competitive the tech industry is. Mental health can be a sensitive topic, especially in the workplace — do employees talk about mental health with each other? At Digital Ocean we have a Slack channel dedicated to discussions about mental wellness. We find that people are really open about their mental health and sharing what has worked for them. Many employees have talked about how helpful therapy has been for them and encourage their coworkers to speak to a mental health professional. This has been made easily accessible for employees thanks to Spring Health. Even in an open and honest work environment, mental health is a sensitive topic, but Spring Health has helped our People team provide resources confidentially, while still tying this initiative back into DigitalOcean’s overall culture of caring. From our perspective as a People team, Spring Health gives us a layer of removal from private and sensitive information, but also helps us understand ways to make broad, positive impact in employees lives by identifying the areas of mental health that we should be focusing on as an organization. How have you seen Spring Health being utilized by employees at DigitalOcean? We launched Spring Health last May because it coincided with Mental Health Awareness Month, which was great for facilitating meaningful conversations about mental health in the office. In the weeks leading up to the launch, there was a lot of demand to try it out. We offer a lot of other great resources and benefits to employees, but Spring Health quickly became one of the most actively used programs. We know that the utilization rate of Spring Health is very high at DigitalOcean — more than 1 in 3 eligible employees have used it. We’ve heard employees talk a lot in particular about how much they like the Care Navigation services, which lets them to speak with a licensed therapist about what treatment will be most effective or meaningful for them. Finding a good therapist in New York is really hard, which is why our employees appreciate the Care Navigators at Spring Health. Do you think that offering mental health benefits to employees has helped employees be more engaged and productive? Has it helped you retain talent? One of our main responsibilities at Digital Ocean is creating an environment for employees to feel more engaged, connected, and productive. The physical office space itself, and everything we offer to employees here is a big part of this initiative, but benefits like Spring Health are also a significant part of this investment in our employees. Mental wellbeing obviously plays a big role in employee overall happiness, productivity, and engagement, which is why giving employees the resources to address mental health issues is so important to us at DigitalOcean. It’s hard to measure the direct, immediate impact of introducing Spring Health this year, but we have observed that turnover is trending down and are seeing anecdotal reports of higher overall engagement from our employees. Has introducing Spring Health had an impact at DigitalOcean as a company? Spring Health has been a guided journey that shows, not just tells how DigitalOcean is dedicated to our employee’s mental wellbeing. It’s been especially impactful for us because it ties in so closely with our core values as a company and the People team’s wellbeing program. Spring Health has served as a meaningful platform for dialogue about employee mental health at DigitalOcean. It’s been so popular and successful as a benefit here because we’ve used it to create a mental health strategy that is not siloed or discussed within a vacuum, but in connection to other areas of wellbeing tied to our core principles, and that affects us individually and as a company.